Good question. I think this question could be answered many different ways. For some, it’s an activity for their children used to develop discipline, strength and self-confidence. Some might want their children involved in an individual sport activity outside of the school sanctioned sport teams. Some young adults see it as a way to stay in shape and indulge their competitive “inner beast”. Ah youth! Other young adults may have started when they were children and have decided to pick it back up later in life for the physical fitness aspect. Adult men may train for sport on occasion, but more often find it a training opportunity for personal defense. These paths often cross one another, as I know quite a few men who train for competition that I would NOT want to meet in a dark alley. But time or financial obligations will most certainly come into play, and they may have to table their training from time to time, especially if they have a family. Adult women (younger or older) are more complicated when it comes to training. 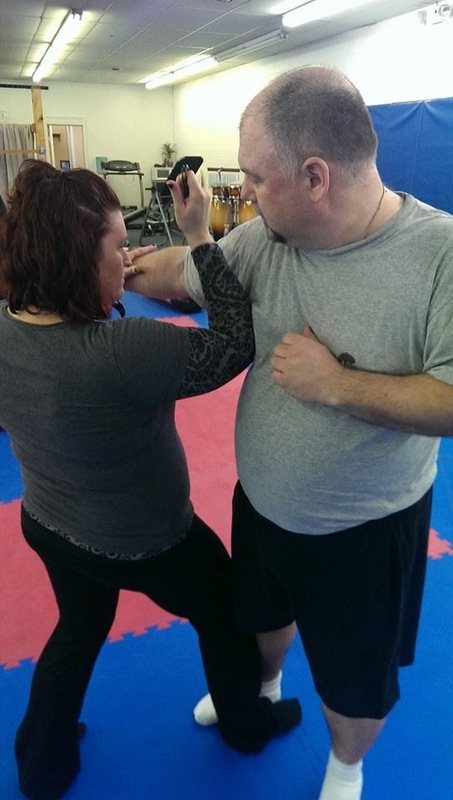 If they have chosen martial arts as their fitness, personal defense, de-stressing outlet, they are probably among a small group that understands the value and necessity of multi-tasking. That’s not to say that all women, whether they admit it or not, aren’t forced into the multi-tasking mode every day. They are. And most have a pretty good handle on it when juggling the needs of everyone else. What if those same women who are masters at the multi-task decided to do a little for themselves too? Martial art training becomes extremely important when realized that it accomplishes many needs simultaneously. Simply put, there really isn’t a right or a wrong, good, better or best time to begin training martial arts. A person simply needs to understand what they expect out of the training, and make sure their instructor understands as well. I wouldn’t be surprised if somewhere along the way the reasons for taking the class in the first place change, either. 1. Personal Defense. Watching the nightly news or browsing your favorite new website will no doubt give the indicators that personal defense knowledge in today’s society is crucial. It’s a must have skill. Now, I’m not saying that everyone has to be G.I. Jane or G.I. Joe, but at least knowing basic moves from the three different ranges of attack (Long, Mid and Ground) is almost a must, because I guarantee your attacker is well versed already. 2. Fitness. Who doesn’t want to be in better physical shape? And I’ll bet most women either have some sort of gym membership, or belong to a weekly aerobic program. At the very least they have about a dozen workout DVDs stashed in the entertainment center that are collecting dust. 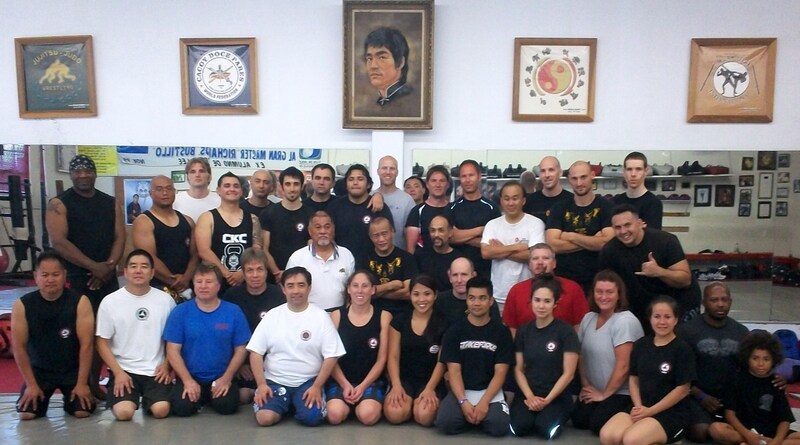 Martial art training provides a consistent fitness program while teaching people how to defend themselves in an attack. If there’s any doubt, try shadow boxing in front of your full-length mirror for 3 minutes. Now think about adding knees and elbow strikes, and ground work. Now add sparring with another person. One hour, two times per week and you’ll find yourself in better shape in no time. 3. Self-Confidence. 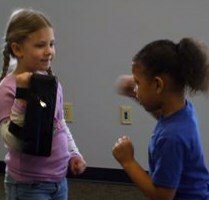 Anyone knowing they can defend themselves (and your children if it applies) in an attack situation is very empowering. And having that increased confidence with personal defense skills will inevitably spread in all aspects of life. 4. Awareness. ‘Situational awareness’ is a buzz phrase that’s overused in the training world today (IMHO). It could really just be shortened to ‘awareness’ and keep everything simple. Martial arts training will definitely raise awareness of a person’s surroundings. I don’t mean to create a picture of someone walking around bug-eyed and paranoid, not at all. But raising one’s awareness of what is going on around them is by far the best technique in preventing an attack. So when is martial arts training right for you? Probably right now. Twice a week for six weeks is the beginning program at my school. Whatever a person’s reason for beginning, the outcome will result in overlapping similarities; personal defense, fitness, self-confidence and awareness. Who wouldn’t want that?